The Coalition for Women in Government and Young Voters of PEI invite members of the public to attend municipal council meetings during the months of November and December to learn more about the municipal process. Do you want to learn more about how municipal government works? or what takes place during municipal council meetings? 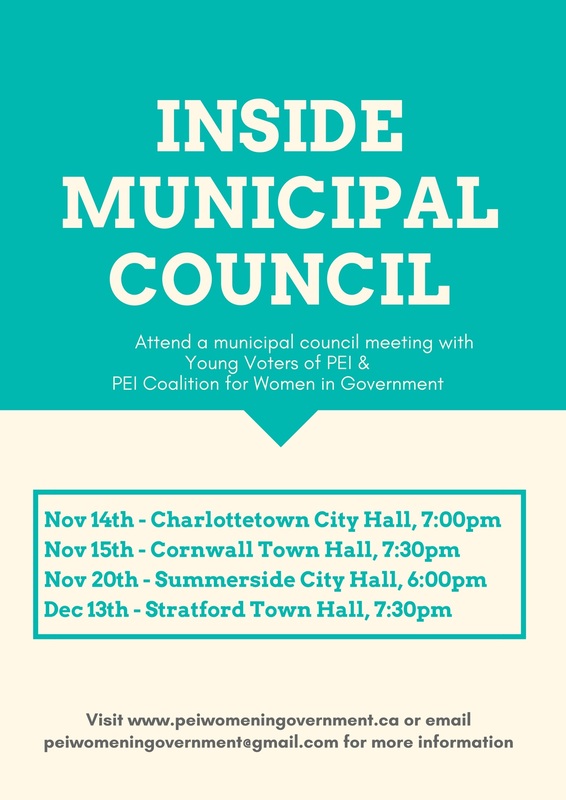 The PEI Coalition for Women in Government and Young Voters of PEI invite you to attend municipal council meetings during the months of November and December to learn more about the municipal process.